Any speech pathologist will tell you that one of the biggest headaches of being a treatment provider is documentation. Whether it be IEPs, data collection, progress reports or evaluations, documentation can be a big burden on an SLP’s time; often taking away from material making or treatment time. But have no fear; luckily new technology is making it easier for SLPs and educators to track not just one but multiple children’s progress in an easy and streamlined fashion. But how and where to start can be a big daunting, or even freighting for a technophobe. 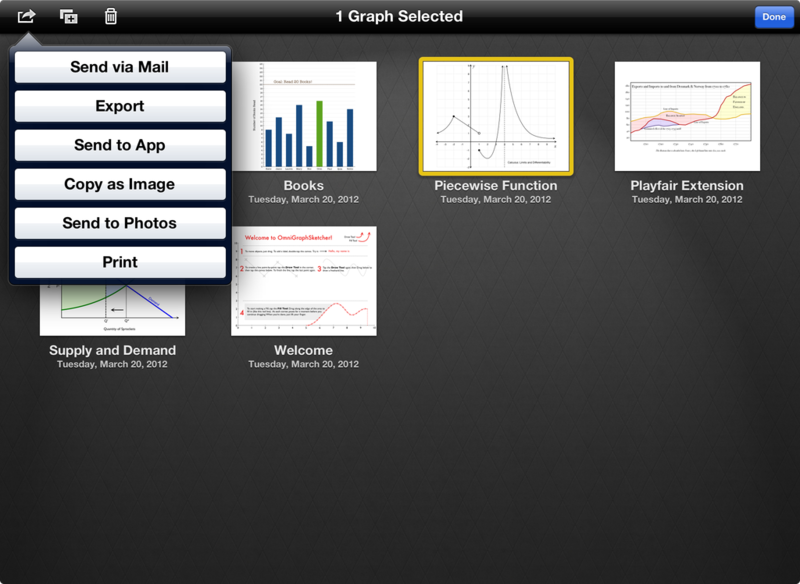 If you’re using the iPad for taking data, then you already know that the iPad is smarter than you might think. It not only takes data for one child, but stores information for multiple users as well. Using its streamlined and organized visuals to present information, it’s easy to look at past activities and see patterns or trends in performance. Some apps will tell you which specific items were missed so you can go back and revisit. It helps those who might have messy handwriting and can even auto-generate reports. Of course confidentiality and security can be a concern if not fully password protected. If you’re using the iPad for therapeutic activities or considering it, an added incentive is that you can sometimes save a child’s work directly. Say for example you are having the child do a worksheet, simply import it as a PDF instead of a paper based project and have them draw directly onto the touchscreen. Why? Then you can electronically store their answers if you need to come back to it or email it to a parent and don’t have to be a pack rat when it comes to keeping papers. A clever way to save work is to also take advantage of the device’s cameras (video and photo). This works for again, helping to save information that might otherwise be hard to. If the child is saying a long and elaborate story, record it. Then you can go back to transcribe or review with the child. Consider sharing it with parents to update them on progress as well. Some people might shy away from technology for speech pathology, while others can’t get enough of it and have embraced the plunge into technology. The wave of speech pathology apps seems to just keep growing. Just ask Sean Sweeney of Speechtechie.com who says people are delving into apps but he urges them to use caution and good clinical thinking, “People generally are self-selecting based on an interest in technology integration to both read my blog and attend my workshops. I am also a strong advocate for integrating technology thoughtfully, as a tool and not as a replacement for our tried-and-true methods, scaffolding, or clinical approaches. At my workshops I am talking about how technology can support methodologies such as use of story grammar marker or social thinking, so people can see how it fits into a bigger context.” So whether it is data collection or not, clinicians must be critical about finding a good rationale for using the iPad, not just doing so because it’s there and it’s exciting. To take data using apps, you might try some that take general data, or some that have data collection as an embedded feature. 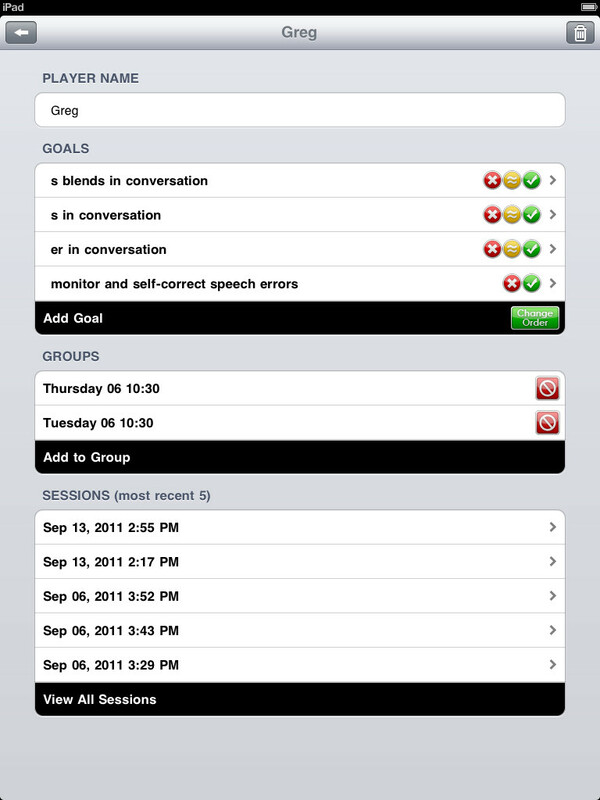 To record voice such as articulation samples or narratives, use the Voice Memo feature. This can save time during a session so that you don’t have to scramble to take down notes. Super Duper Data Tracker allows SLPs to document multiple student goals. Responses can be marked with a Tally, Correct, Incorrect, Approximated, and Cued. We Talk Tracker Pro is an all-in-one data tracking iPad application for Speech-Language Pathologists (SLPs) that produces stunning and detailed color coded data graphs. It also allows easy sharing. 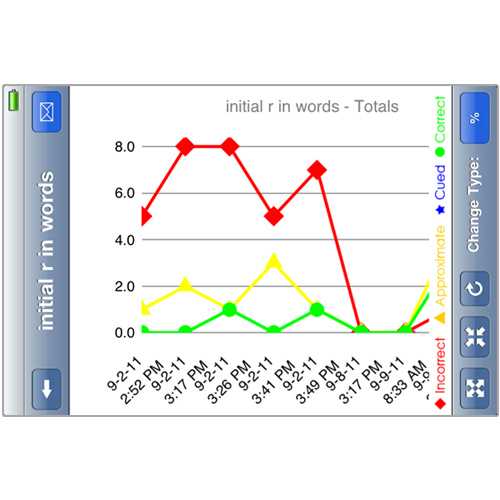 I am looking for an easy to use ipad app for speech therapy data collection. Can you recommend one?